A better, healthier future awaits you! We’re located in the Orion Springfield Shopping Centre. 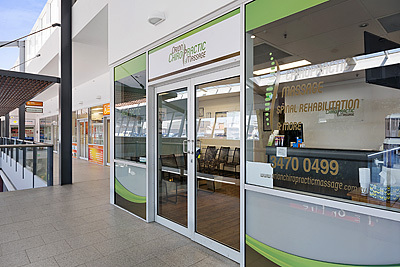 Chiropractors Dr Irma Bran Hernandez, Dr Dylan and their team are passionate about helping those in Springfield Lakes and surrounding areas experience optimal health and wellness for a lifetime. Dr Irma has been with us providing care for a decade and Dr Dylan started with us in 2017. We provide services to patients of all ages and also complement our Chiropractic services with Massage therapy to help you achieve your goals. The First Choice Chiropractic and Massage purpose is to create inspired leaders who regain exceptional health by creating optimal posture and a healthy nervous system to allow them to age without fear of disease or infirmary. Experience our holistic approach to health by contacting us today to schedule an appointment!